The rehearsal party is Friday, the 29th, at the historic Grant's Lounge (576 Poplar Street), also known as "The Birthplace of Southern Rock." The party is open to all invited guests of the wedding from 7 p.m. until. The dress is casual. We are serving Cheryl Grant Louder's fried fish, cheese grits, hushpuppies and cole slaw, starting at 7 p.m. We'll provide keg beer, sodas and water (Grant's will have a cash bar operating for other needs). 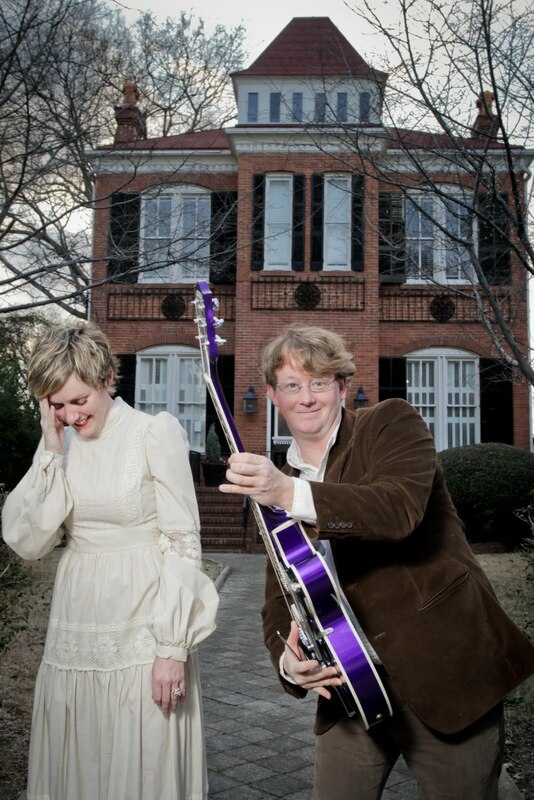 One of Macon's favorite bands, Jubee & the Morning After, will start playing at 9 p.m. until we can't dance anymore. The wedding and reception is Saturday, the 30th, at the Cox Capitol Theatre (382 Second Street) from 8-11 p.m. The dress is what we like to call "backstage cocktail attire," in other words, wear what you would wear if you were going backstage to meet your favorite band. Jamie will NOT be wearing a tie. We suggest you don't worry about it either. We'll be serving sodas, wine and the signature vodka drink "The Wedding Crasher" in honor of our bud Owen Wilson. There will also be a several cash bars throughout the venue for the night. For food, the awesome Saralyn Harvey has helped us create a fun-filled gourmet hotdog bar with all kind of fixings for late night snacking. Fountain of Juice has created our tower of cupcakes. And the great T-Bird and the Breaks from Austin, Texas are going to help us blow the roof off the joint. The post-wedding/reception party will be at the Rookery (543 Cherry Street) from 11 p.m. until. One of our best friends, Brian Nolen, is putting his band Brian Lee & the Family back together for a special performance. A special note and word to the wise - our friends at Zingo Designated Driver Services will be downtown and available for you to call so you don't have to worry about drinking and driving. They give you a safe ride home in your own vehicle. Keep their number handy: 478.254.6555. Seeing wedding or couple photos makes me reminisce my own wedding held at the Long Island country club last year. It gives me such a wonderful feeling because I married the man of my dreams.